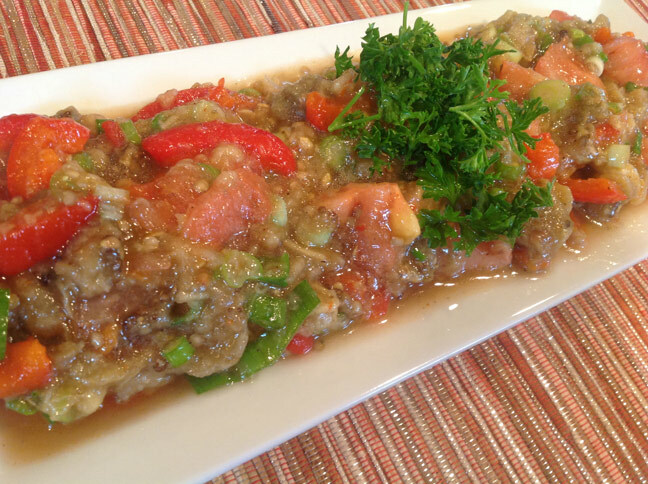 Another great recipe from my guest Susanna, an effortless summer salad, featuring the best produce summer provides : – eggplant, tomatoes and pepper. Roast, peel the pepper (directions can be found here ), chop the pepper. 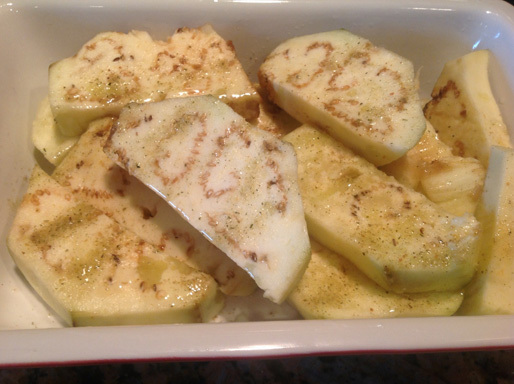 Peel eggplant cut it into slices, sprinkle with salt and let stand for about 20-30 minutes. Rinse and blot with paper towels. 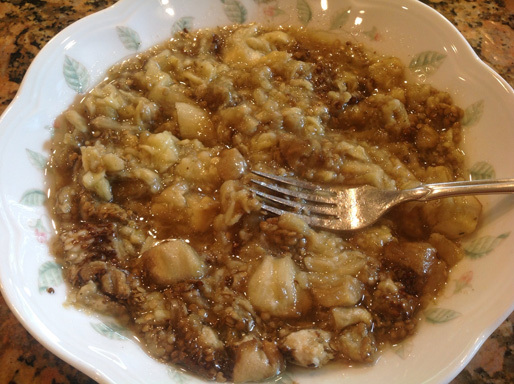 Place eggplant into an oven proof dish, season and bake until soft. Cut a crisscross pattern on the skin of the blossom end of the tomato. 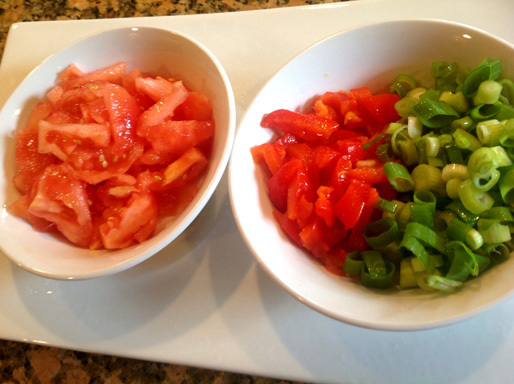 Place tomato in a cup or a dish. Boil water and pour it over the tomato making sure it’s covered. Keep the tomato in water for about a minute. 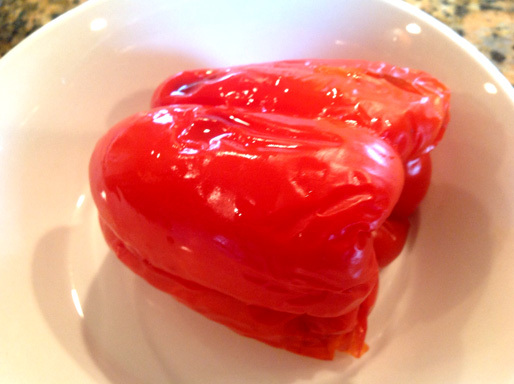 Remove from water and peel the tomato. Mash the eggplant with the fork.